Add these fun, two toned, linden leaves to your arrangements for a unique look. 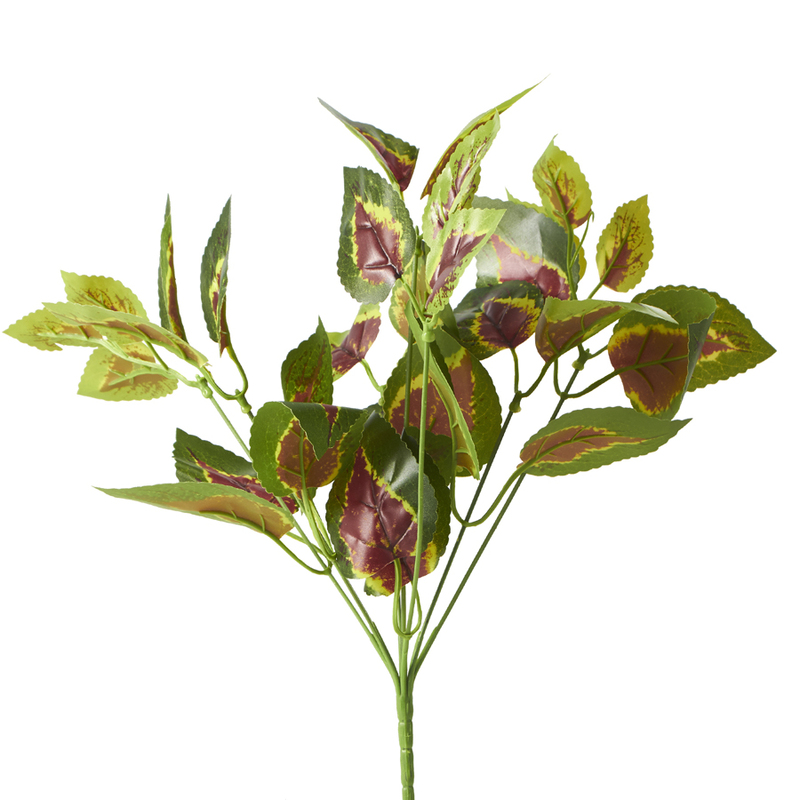 The leaves have different shapes and are variegated in color with green and burgundy tones. The bunch consists of multiple spiky stalks with a number of leaves on each stem, perfect for filling in between blossoms, added to other green foliage arrangements, or grouped together to create a linden plant.